Our location near Juan Santamaria International Airport (SJO) makes it easy for fly-in guests to attend your business meeting, wedding or banquet for up to 120 attendees. 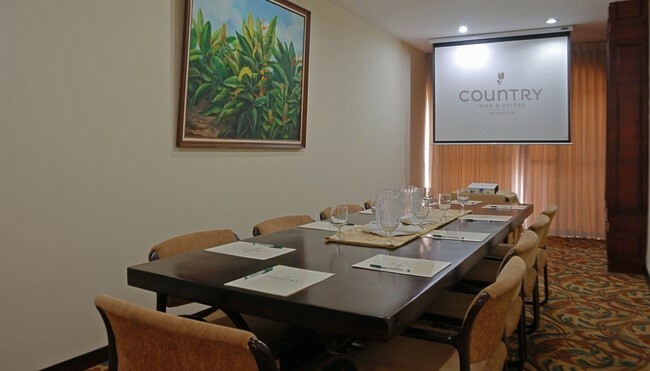 The Country Inn & Suites, San Jose Aeropuerto, Costa Rica features the Montezuma Ballroom, a flexible event venue that can be subdivided into smaller rooms. All rooms include access to audiovisual equipment, and our staff can provide planning assistance and help arrange catering. As an added convenience, we also offer a complimentary shuttle to and from the SJO airport.